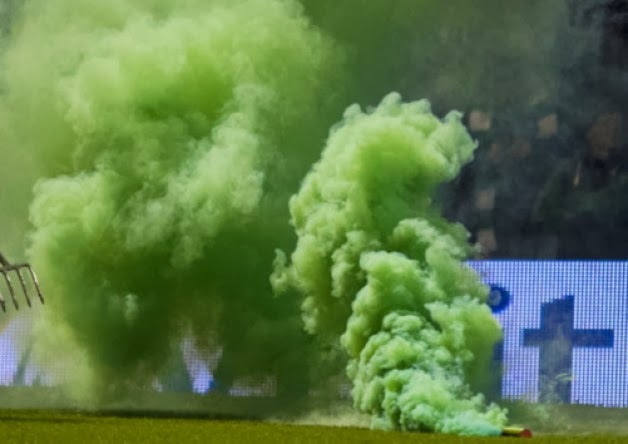 CELTIC saw another exceptional display on the pitch last night soured by fresh controversy involving their supporters as damage was caused to a section of Fir Park. Seats in the south stand, where the bulk of a 6000 travelling support were situated, were ripped out during Celtic’s crushing 5-0 win over Motherwell which stretched their lead at the top of the Premiership to five points. indicated that the matter would be dealt privately between the clubs. Smoke bombs and flares were also let off by fans in the same stand before and during the match. Celtic are currently subject to disciplinary proceedings from both the SPFL and Uefa for banners displayed by the Green Brigade section of their support at recent home matches.